Many times you want to read contents of a file into String, but, unfortunately, it was not a trivial job in Java, at least not until JDK 1.7. 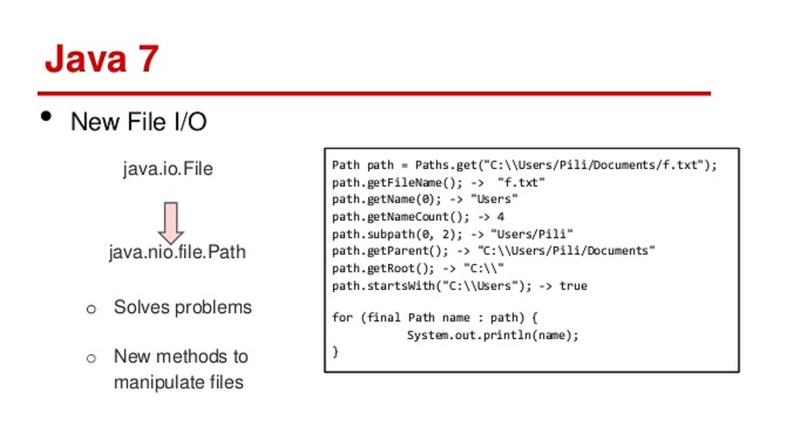 In Java 8, you can read a file into String in just one line of code. Prior to the release of new File IO API, you have to write a lot of boilerplate code e.g. open an input stream, convert that input stream into a Reader, and then wrap that into a BufferedReader and so on. Of course, JDK 1.5's Scanner class did provide some breathing space but it was still not as simple as it should be, like in Python or Ruby. By using Java 7 new File API and Java 8's new features like lambda expression and stream API, Java is now close to Python or other utility languages, when it comes to reading the file into String. In this article, you will learn a couple of ways to read a file into String in just a couple of lines, mostly one line. Though, whenever you convert binary data into text data, you must remember to use correct character encoding. An incorrect choice of character encoding may result in totally different or slightly different content than the original file. Another advantage of using new features of JDK 8 such as lambda expression and streams are that they are lazy, which means better performance. It's particularly beneficial if you only need a portion of file e.g. all the lines which contain word "Error" or "Exception" or "Order" etc. In order to understand the beauty of Java 7 way of reading the file into String, first, let's see how we used to do it in Java 1.5 and 6. You can see there is no more wrapping around different class, no more loop, no more handling of the special condition, just a method call to read the whole file into a byte array and then create String from it. Just like our previous example, this is also using platform's default character encoding. 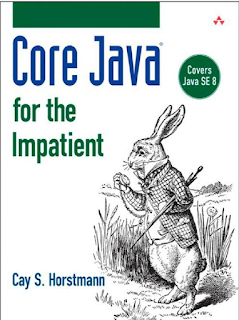 You can also see Core Java for Impatient by Cay S. Horstmann, one of the better books to learn subtle details of Java and it covers Java SE 8 as well. Here is the complete code sample of how to read the file as String in Java 5, 6, 7 and 8. You can see that Java 7 has really made it a trivial task. * pre Java 8 and Java 8 world using Stream's forEach method. That's all about how to read the file into String in Java. Though this is good for the small tasks where you need contents of the file as String in your program, don't read a large file of few Gigabytes like that, otherwise, your Java program will run out of memory, instead use InputStream. Also, always remember to use character encoding while converting binary data to character data. If you are unsure, just use UTF-8 as default. In reality, different file provides character encoding metadata differently e.g. XML file as that as their first line header, HTML file defines character encoding in "Content-Type" attribute and so on. If you are using XML parser then you don't need to worry as they have a way to figure out correct encoding by reading the file, same is the case if you are reading HTML using open source library. If you are using Java 5/6, you can use Apache Commons IO for read file to string. The class org.apache.commons.io.FileUtils contais several method for read files.